Get in touch to find out more about how we can save you money! If you need an accountant you can depend on in Lehigh Acres, FL, contact Centro de Servicios Hispanos. When you are looking for an accountant to assist you with the filing of your tax returns or to take on the bookkeeping for your SME, you need to contact Centro de Servicios Hispanos! We can take the headache away with our cost effective services and you can be sure that you're fully compliant with the IRS too! We recognize that accounting is a complex field and we all have obligations to report to some financial body at some stage if we're earning and so we dedicate ourselves to making this easy for you. 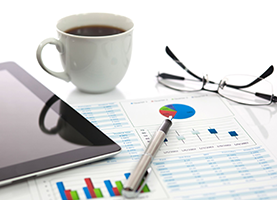 We have extensive experience across all aspects of accounting that extends to commercial financial reporting too. We can take care of your business' books so that you're always on top of the financial health of your company and we can deal with any financial reporting back to those who provided your seed funding to get you started. When you have a small business you know that it's not just about the product or service you offer. 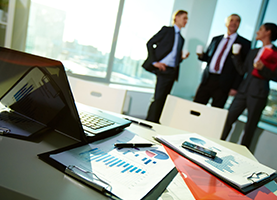 You also have a significant responsibility to regularly report on the financial circumstances of your business including your daily orders, sales and overheads in financial statements prepared by a full licensed CPA. Get your business protected by hiring the professionals from Centro de Servicios Hispanos in Lehigh Acres, FL. We appreciate that the economy is difficult for many people and that's why we keep our rates low and the quality of our services high which saves you even more money. 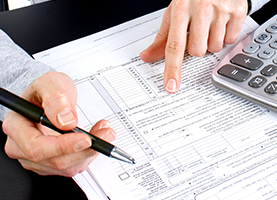 You can rely on the accounting solutions we offer here at Centro de Servicios Hispanos. We look forward to your call!